Here's the first minivan created on the earth....? 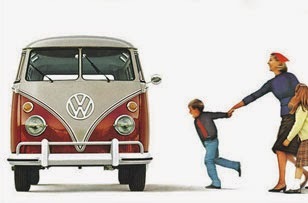 Ha..ha.. of course not..
Volkswagen bus is a big box on the Beetle chassis. They have design so strong and is was be the legend till today. Original design of the first generation created in 1949, it's the icon for this vehicle models. 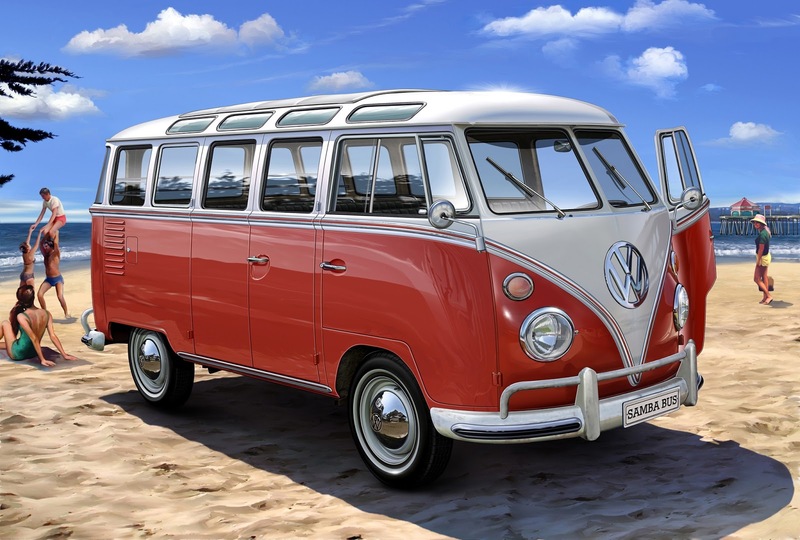 After the beetle successes on the market and Volkswagen was healthy enough to created the second model, is was the Bus type, known as the Type 2. 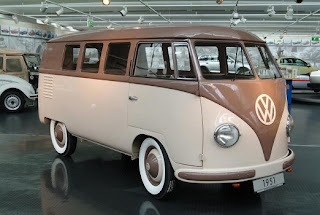 And for notes this bus was developed without input from Ferdinand Porsche who designed the original Beetle, so who did it? 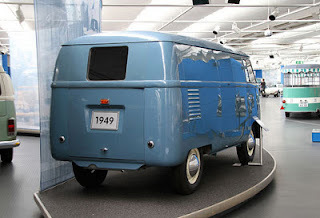 Let's take a look historical development of the Volkswagen bus design. He was never fast, but it did carry generations of dreams, belongings, and families. 1950-1960 Base same 1100cc Engine had 25 horsepower. 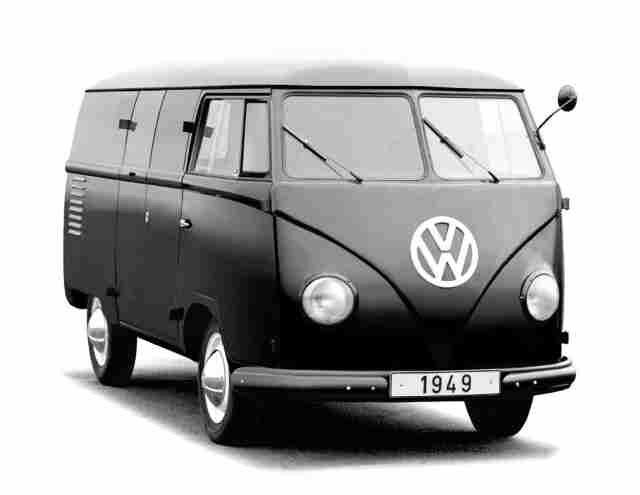 1951 for first time microbus for passenger launched 2 variants Kombi and Deluxe to the market. 1956, engine have grown at 36 horsepower at 3700 rpm and 56 pounds/feet of torque at 2000. On this period Volkswagen Bus gained new features and more power. 1960, on interior side, the bus got real split front seats to create a narrow aisle that allowed movement though the interior, and front-seat riders began to enter and exit through the side door rather than climbing over those high wheel arches / Walk-through. 1961, engine side have upgrade, 1200cc engine had 40 horsepower. 1963, 1500 cc engine, which at its most powerful, made 53 horsepower at 4200 rpm. 1966, the aircooled engine had grown to 1500cc and made 44 brake horspower. had a safe cruising speed of 55 mph and could eventually reach an unsafe 70 mph. 1967, a dual-circuit braking system was introduced in which front and rear brakes were independently pressurized hydraulic. But he has problem hydraulic circuit and volkswagen pull all from the market and redesign for fixed. From 1950 until 1967 no design changes. Minor design changes only in the lights indicator on the front and rear lights on the back, bumper, mirror and then many variations on the passenger door and on the window. Totally design is changes but still on same base, have rear engine and same beetle chassis, but more larger, sleeker, and more powerful than its predecessor. Gone was the 11, 13, 15, 21, 23 window design, In its place was a body with big and long windows on front, rear, either side. And no more the split window. Passenger versions dumped the double doors gone, replace with a single right-side sliding door. Face have totally change, new bus had a flatter brow with less character but stronger bumpers and better headlamps. All second-generation Type 2 models used the latest Beetle's 1600cc engine, 57 horsepower at 4400 rpm of torque at 3000. Horsepower was up over the first-generation, but so was curb weight, so the second-generation Volkswagen Bus not really faster than the last of the first-generation 1967s. From 0-60 mph still took about 37 seconds and top speed remained 65 mph. 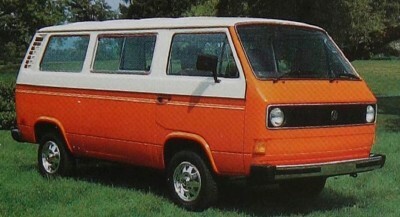 There's two different styles on this generation, models before 1971 are often called the Early Bay (T2A), while models after 1972 are called the Late Bay (T2B), and both known as Bay window models. More larger and heavier comes with more squared and less rounded styling. Why I call the third generation is the last generation? Because this generation still on the same base with a rear engine and rear wheel drive so the T3 was the final generation of rear-engined Volkswagens. 1986, larger engine 2109cc with water-cooled and high-tech traction-enhancing all-wheel drive (4WD) option, known as the Syncro was released. 1986-1992, where all Syncro's has been built at Puch in Graz/Austria. Here more details about Syncro. This new generation, have new configuration front engine and front wheel drive. The fifth generation of the VW Transporter hit the market in Europe late in 2003. 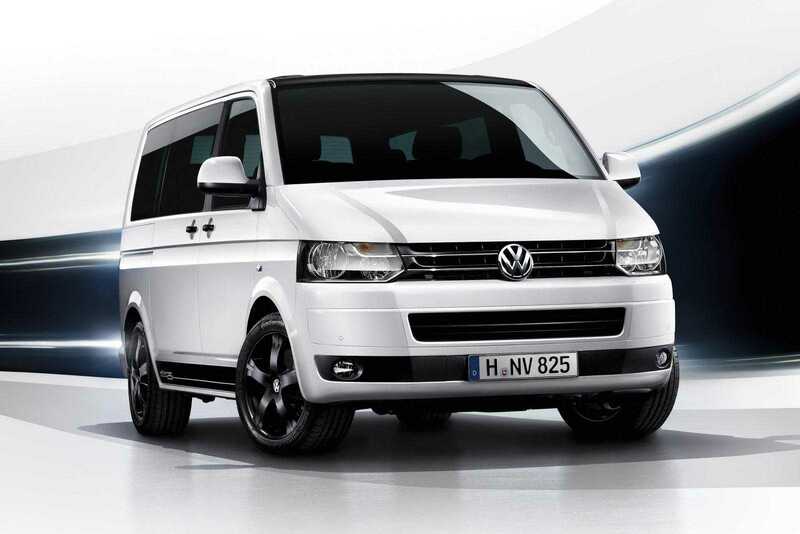 It is a direct successor to the T4 in its looks and utility value. Volkswagen have cost problems, T5 Transporter is not available in the United States and Canada in any form. Instead, Volkswagen offers the Volkswagen Routan, a passenger minivan based on Chrysler LLC's Dodge Caravan, but T5 Transporter still sold under the Eurovan nameplate in Mexico. 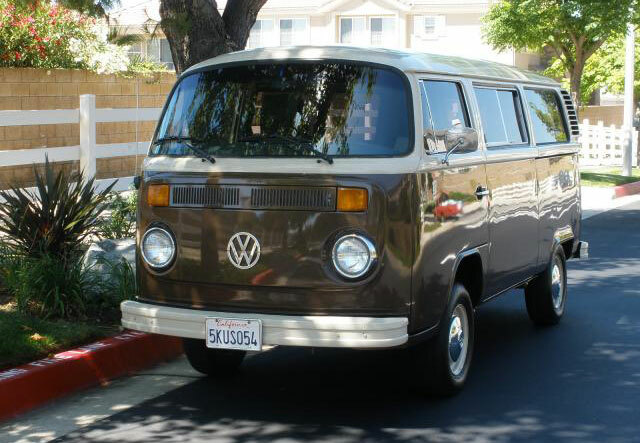 + In Mexico, the Volkswagen T2 Kombi and Panel were produced from 1970 to 1994. + South African production of the T3 continued, for regional market only, until 2002. + And I am still waiting for new Volkswagen Microbus at 2014-2015, and I hope this not rumors. 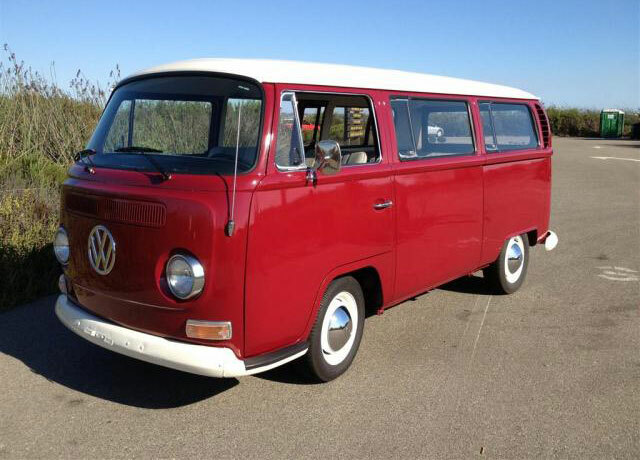 Love all the buses I want to buy one! Where?